SPLIT: Developing Strength From Pain | Birth.Movies.Death. A look at the real-life inspiration behind M. Night Shyamalan’s SPLIT. Glass is almost here. Get your tickets now! The term "broken" is defined as having been fractured or damaged and no longer in one piece or in working order. A broken heart. A broken mind. A break-up. All of these imply irreparable damage, a separation typically warranting pain usually resulting from a single impactful moment. M. Night Shyamalan explores this tormenting fragmentation on a psychological and physical level in his 2017 film, Split. James McAvoy stars as Kevin Wendell Crumb, a young man who suffers from DID (Dissociative Identity Disorder also known as Multiple Personality Disorder) resulting in twenty-four separate identities or “alters”. Shyamalan spent years researching the subject he would use as a framework for Kevin’s psyche; the first person in history to be acquitted of a major crime using multiple personality disorder as an insanity defense: Billy Milligan. In October 1977, there were three separate incidents in which women were kidnapped from the Ohio State University campus, raped, and robbed. The women disclosed various descriptions of their assailant’s physical appearance and demeanor. However, fingerprints and an existing photo in the police database allowed one of the victims to properly identify William “Billy” Milligan, a 6-foot-tall man who bewildered police once he was in custody. Due to his strange conduct, Billy was evaluated by a psychologist who discovered he had multiple personalities - twenty-four, in fact. At the time of his trial, only “The Ten” were known with Arthur, Ragen, Allen, and David being the most prominent. Arthur was described as a 22-year-old Englishman who dominated in safe places and decided who in the “family” will come out to hold the consciousness. Ragen, “the keeper of hate”, was Yugoslavian and controlled the consciousness in dangerous places. Allen, known as “the con man” and escape artist, was a master manipulator who often dealt with outsiders; and David was an eight-year-old referred to as “the keeper of pain” since he absorbed suffering from all of the personalities. It was revealed that Adalana, Billy’s nineteen-year-old lesbian personality, was responsible for the sexual assault against the three women. Later, fourteen other personalities known collectively as “The Undesirables” were disclosed to psychiatrists. This group was suppressed by Arthur because they possessed undesirable traits usually revolving around crime or weakness. Most notable was The Teacher who stood on his own because he was the sum of all twenty-three personalities. At twenty-six-years-old, he taught the others everything they learned, skills ranging from mastering foreign languages to weaponry. 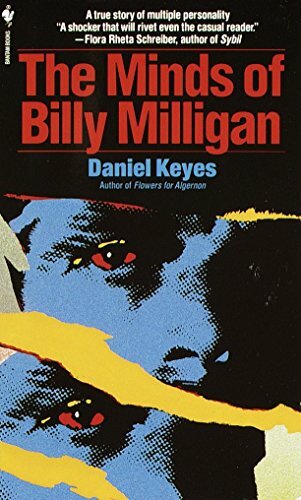 He possessed total recall and was the primary reason author Daniel Keyes was able to interview Milligan and document the extent of his psyche in the award-winning auto-biographical non-fiction novel, The Minds of Billy Milligan. Born in 1955, Billy’s life quickly became one of tragedy and turbulence. His biological father, Johnny Morrison, committed suicide in 1959 by carbon monoxide poisoning when Billy was just four years old. Shortly after, his mother, Dorothy, married Chalmer Milligan or “Daddy Chal” in 1963. The onset of Billy’s multiple personalities began at a young age and was exacerbated by Chalmer’s abuse and excessive control. At the dinner table, there was no laughing allowed; the salt had to be passed clockwise; and when company came over, all of the children were to sit up straight with their feet on the floor and hands flat on their knees. The strictness, hostility, and punishment escalated over the years, and when Billy was eight years old his stepfather inflicted sadistic and sexual abuse upon him in their family barn. It was in this moment that young Billy’s mind, body, and soul shattered into twenty-four parts. Significant experiences of trauma can lead to the development of defense mechanisms and psychological disorders such as DID. In Billy’s case, his psyche splintered into various alter-egos which helped him cope with everything he experienced in his daily life after his father’s suicide. He loved flowers, poetry, and cleaning the house; but Chalmer called Billy a “sissy” in between beatings. Thus, Adalana appeared and was able to do those things for him. At fourteen, Chalmer’s sexual and physical assault prevailed, as he forced Billy to dig his own grave and buried him in the soil with only a pipe Chalmer had urinated on as Billy’s sole access to air. Subsequently Danny, “the frightened one” was born. Afraid of men and the earth, Danny would only paint still-lifes, as his experience prohibited him ever from being able to lay in the grass or paint a landscape again. Shyamalan utilizes trauma and the notion of being psychologically broken as a means of mental and physical strength in Split while peppering in references to Billy Milligan’s life. McAvoy’s character is divided into twenty-four personalities (the same number as Milligan), but he only portrays eight of them on screen. “Dennis” kidnaps an outcast named Casey Cooke (Anya Taylor-Joy) and her two classmates, holding them hostage in preparation to be devoured by a looming personality called “The Beast”. The alters within Kevin define consciousness as “the light” and describe the set-up as if all of them are in a room sitting around waiting for “Barry”, the dominant personality, to grant each of them control at critical times. Billy Milligan’s psyche had a similar set-up; however, consciousness was referred to as “the spot” and the dominant was Arthur, who granted permission while the others stood watching or sleeping in beds. Like Billy, both Kevin and Casey were abused as children. Casey’s uncle molested her on family hunting expeditions leading her to learn crucial survival skills; and Kevin’s mother, who suffered from Obsessive Compulsive Disorder, would physically assault him. Despite the terrors experienced by Billy, Kevin, and Casey, Shyamalan manages to employ a narrative in which their trauma serves as salvation. Kevin’s therapist, Dr. Fletcher, is a support system for “The Horde” (all of his personalities) throughout Split. 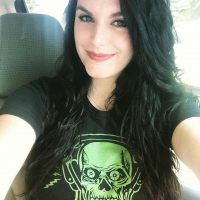 She advocates for the recognition of DID within the medical community and emphasizes to “Dennis”, “you are not evil to me. You were necessary.” This distinction blurs the division between good and evil, the victim and victimized which Shyamalan plays with, testing its limits and examining how long before they either break or become reinvigorated. In Split, “The Beast” preys upon individuals who have never truly suffered, ones that are “asleep”; since he believes the broken are the more evolved. Casey’s trauma and shattered youth ultimately save her life because her experience made her pure to “The Beast”. Just like Billy Milligan, Kevin’s fragmented core creates numerous alters each with specific characteristics to help him cope and survive. Kevin’s personification of “The Beast” also allows him to sustain bodily harm otherwise impossible for any human. As Dr. Fletcher consults a colleague skeptical of Kevin’s condition, she explains ”we look at people who have been shattered and different as less than. What if they are more than us?” Therefore, Split places the hero and the villain on a level playing field in the sense that both of their strengths grew out of trauma. The theme of brokenness is also exhibited in Shyamalan’s Unbreakable, a film which ties into the ending of Split. Shyamalan employs a comic book superhero/villain plot to propel his trilogy that contains a unifying pathos among his characters as they seek purpose through the identity of their alter egos - concepts he revisits in his third installment of the franchise, Glass. Spending a decade in mental institutions after being acquitted of his crimes, extensive therapy enabled Billy to fuse his personalities back to his core self allowing him to be released from inpatient psychiatric care in 1988 and released from court supervision in 1991. Like Casey, Billy became his own hero. Without any further criminal incidents, he passed away in 2014 from cancer at the age of 59. Billy Milligan’s story serves as a reminder that despite seemingly irreparable damage to the heart, body, and mind, hope for picking up the pieces can still exist.